It has been a month since over two hundred girls were forcefully taken away from their school in Chibok, Borno State by Boko Haram – the terrorist group which has been leading callous and bloody insurgencies against the government and people of Nigeria since 2009. This abduction which has inspired the #BringBackOurGirls campaign and sparked a global outrage against the terrorist group marks a water shed in the struggle to end an insurgency that has cost the country so much in terms of lives and properties as well as its global image. While the military which in recent days has been receiving pledges of support from across the globe continues to comb areas in that axis for the girls who I remain confident will be brought home alive, one area that has not enjoyed so much prominence in public discourse on the matter is the health of the abducted girls after they’ve been brought home. The World Health Organization (WHO) defines “health” as a state of complete physical, mental and social well-being and not merely the absence of disease or infirmity. It goes without saying that our missing sisters and daughters will not be in a state of COMPLETE physical, mental and social wellbeing when they are rescued. It is important therefore that in addition to the rescue efforts, we begin to make concrete plans for their rehabilitation without which our highly commendable efforts to save the girls would not have been complete. 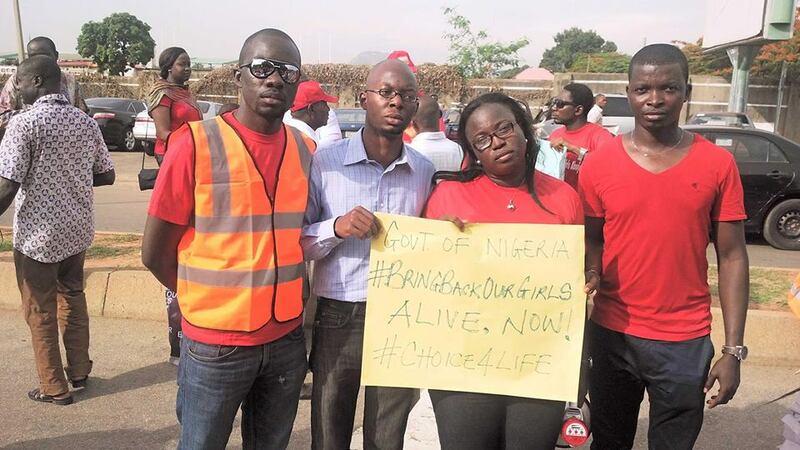 Let me shed some light on the possible health challenges that #ChibokGirls may face. Their abduction has subjected them to an unimaginable physiological trauma and emotional instability. When released, they will most-likely suffer Post-Traumatic Stress Disorder (PTSD). Their immediate families, schoolmates, members of their community and many concerned are also undergoing terrible mental stress and also at risk of developing PTSD and other associated adverse mental health issues. As already reported in the media, they may have been raped multiple times by their abductors. The outcome of such sexual violence could be contraction of sexually transmitted infections (STI) including HIV/AIDS or unwanted pregnancy. In the case of unwanted pregnancy, the only option available, by our current laws, is for the girl to carry the baby till term and deliver. It’s traumatic to imagine that any of these girls will give birth to a child fathered by their abductors, but this is a possibility, except abortion laws are made less restrictive. Furthermore, the girls may be malnourished; malnutrition weakens the immune system and would make them vulnerable to various forms of ill-health. The place they may currently be kept is not likely to be of good hygienic condition and given the terrain in that part of the country, their access to water may be limited. They are therefore prone to having skin infections, dehydration and at risk of developing kidney stones. The water available to them may be of poor quality, thereby making them vulnerable to water-borne diseases. They may be exposed to harsh weather conditions, exposed to mosquito bites and at risk of having malaria. If any of them sustains skin injury, it is at risk of being infected by tetanus. Untreated tetanus usually leads to death. The more our abducted sisters stay in captivity, the more health risks they’re exposed to. Someone was telling me that it is inchoate to be discussing these possible health challenges when the girls are yet to be found. I argue that it is not. As a public health physician, I focus more on prevention. Our system failed to prevent the abduction of these girls; failure to make concrete plans to address possible health challenges they may encounter would amount to failing them twice. It may be disastrous if we fail to put structures in place to address the health challenges of these girls, their families, friends, schoolmates and their communities. It is the responsibility of the Government of Borno State with necessary support from the Federal Government to ensure that this happens. I advocate that trauma management machinery consisting of professionals in clinical medicine, psychiatry, psychology and all other associated fields be already put in place for this purpose. It is noteworthy that a statement issued recently by #Choice4Life Advocates (a group of young Nigerians that promotes Women Reproductive Health and Rights) expressed concerns about the health of the girls. The group which I also belong to made a 5-point demand including the urgent passage of the Violence Against Persons Prohibition Bill (#VAPPbill). Passage of #VAPPbill is also a key demand of the #BringBackOurGirls Campaign. It has been passed by the House of Reps and passed First Reading at the Senate. I join the call for the Senate to expedite action and #PassVAPPbill. The bill when it becomes law will provide protection for vulnerable people like children, physically challenges, women and poor people who are usually victims of violence. As we continue to support our military with prayers to #BringBackOurGirls, I humbly request that government at all levels provide leadership and put plans in place to Restore their Health and support each of them to make #Choice4Life. God bless Nigeria. I and my fellow #Choice4Life Advocates remain committed to the #BringBackOurGirls Campaign until the girls return to their families alive.